The South African Council of Educators (SACE) briefed the Committee on its 2013/14 Annual Report, setting out the breakdown of new teacher registrations, an indication of the changed rulings on registration, the distinction between permanent and temporary registrations, the registration of foreign teachers and the vetting process. SACE reported a cooperative relationship with the unions, who often invited it to speak at their meetings, and with the Department of Basic Education, with whom it was working to ensure greater accuracy of the databases. It was noted that whilst many of the functions around the planning of continuing teacher professional development were handled by the Provincial Departments of Education, SACE handled the accreditation flowing from those. SACE had also begun to train more volunteers and investigators to assist with the cases. All nine provinces now had an officer to handle continuing professional development. The SACE, noting that this was World Teachers Month, expressed appreciation to the many dedicated teachers who were doing excellent work. The Code of Ethics needed to be updated, however, so that those wanting to avoid disciplinary action would find less loopholes. The financial report noted that the SACE had a total asset increase of 15% and the Council showed a surplus this year, yet still reported that it needed more budget - a point that was taken up in quite lengthy discussions by the Committee. The revenue had increased because SACE had increased its membership fees for the first time since 2000, and there were plans to open offices in other provinces. One point that had been a bone of contention for the last few years - and was questioned again - was the sale of the Visagie Street property, which had been purchased for around R12 million five years ago, and which Parliament had criticised heavily at the time. It was used for storage, but not for offices as SACE, following the criticism, decided to sell it and although it was now valued at over R10 million, the SACE had eventually accepted an offer of R9 million in order to dispose of it finally, as it was costing a lot to maintain. A building fund had in the meantime been started to enable SACE to purchase another building. Members asked questions on the financial statements and the loss made on this building, but hoped that this chapter was now behind the SACE. They questioned the raise of membership fees and how this related to other similar bodies. They asked about the use of peer adjudicators, noted the SACE view that the profession ought to set its own governance rules and the attempts made to improve the standards. They were not pleased to hear that neither SACE nor the Department of Basic Education were aware of exactly how many teachers were in the system, and suggested that in addition to vetting new entrants, older qualifications must also be vetted. They asked how many teachers were members of SACE, how it was encouraging their participation, urged SACE to be proactive and reach out and questioned what steps it would take in respect of discipline,how disciplinary sanctions were handled, and how it would ensure that teachers who were guilty of transgressions would not be able to be re-employed in the system. They asked how many teachers had professional qualifications and the consequences should they not keep up with getting their points each year. They urged SACE to approach the Committee if it experienced further problems, particularly on the budget. Mr Rej Brijraj, Chief Executive Officer, South African Council for Educators, started his presentation by setting out some highlights of the South African Council for Educators (SACE or the Council) in the previous financial year. It had registered 25 314 new educators during the review period, reaching a total of 625 731 registered to date. Of these, 4 682 were full registrations (meaning that full registrations now stood at 500 147) and 20 632 were provisional registrations (which brought the figure for provisional registrations to 108 951). Mr Brijraj also pointed out that 1 630 provisional registrations related to foreign educators, where there was now a total of 16 633 foreign educators. SACE had become stricter in relation to whom it would allow to register in the profession. The Department of Basic Education (DBE) had allocated funds to help with the development of Continuous Professional Teacher Development (CPTD), but there was difficulty with getting the funds timeously. SACE was also concerned with cases that needed to be carried over. He wanted to emphasise again that SACE had begun to employ a stricter vetting regime for educators to prevent usage of fraudulent documents and avoid entry of individuals who could not be trusted with learners. This process would be strengthened further by the fact that South Africa was a member of African Forum for Teaching Regulatory Associations (AFTRA). This could assist in vetting foreign teacher qualifications. The current projects of SACE included initiation of on-line registration, validation, and categorization of registration and tracking of levies due. Ms Matseliso Dipholo, Chief Operations Officer, SACE, presented on the Registration and Ethics aspect of the Annual Report, highlighting the growing use by private and independent schools of students or graduates rather than qualified teachers. Mention was made of inaccuracies in the database, and the plans of the SACE to make contact with trade unions to improve the Council’s level of accuracy, especially for former members who had passed away. SACE planned to liaise with the Department of Home Affairs with regard to changing the strategy on foreign work permits, as many foreign teachers were Zimbabwean. Ms Dipholo moved on to the topic of professional ethics. In the case management processes, emphasis was placed on streamlining case management to avoid hostile witnesses who no longer wanted to give evidence, because they had been asked to act as witnesses so often in the past. She presented a breakdown of cases (see attached presentation for details) and placed emphasis on the fact that SACE had trained 25 investigators who were former teachers. Ms Ella Mokgalane, Senior Manager: Professional Development and Research, SACE, presented on the topic of professional development and research. She highlighted that all nine provinces now had a CPTD officer, and the need to focus on implementing and managing an effective CPTD system. SACE was finalising a needs analysis for principals and deputy principals. She also highlighted that that Limpopo, Northern Cape and Eastern Cape were lagging behind with teacher registration. Various possibilities to address this had been discussed, including the fact that other provinces were using electronic sign ups. SACE was also monitoring CPTD and professional development in the provinces. Mr Morris Mapindani, Chief Financial Officer, SACE, presented the Financial Report. He highlighted the total asset increase by 15% and the positive financial status of the Council. He noted that revenue had increased by 6% because the Council increased the registration fees in this year, not having reviewed them since 2000. He mentioned the plans to open two offices in other provinces. He discussed with the Portfolio Committee the sale of the Visagie Street property that had been valued at R10.5 million. However, that building was eventually sold for R9 million after a four year long battle to sell the property. He also discussed the SACE Building Development Fund and the upcoming plans for SACE to have their own office building (see attached presentation for more detail). Mr Brijraj then presented on advocacy and outreach. He noted that SACE had a cordial relationship with all teachers' unions and the goal of SACE to try to visit all unions. SACE was often awarded space to address the unions and he wanted to express his appreciation for their co-operation. Mr Brijraj noted that this month was "World Teachers Month", and he wanted to express a public salute to teachers, most of whom were doing excellent work in the classrooms. He reiterated that SACE currently held the presidential position in the AFTRA Forum for teacher regulatory authorities. This enabled SACE to exchange information about teachers moving between the countries in the region, and would help indicate the qualification of teachers coming from other countries. Ms Gaylin Bowles, Council member, SACE, added to the presentation that the Teachers Code of Ethics needed to be updated, so that there were less loopholes available to teachers wanting to dispute disciplinary cases. She also spoke to the basic principles about the need for qualified tachers and emphasised the need to tighten up professional standards. The Chairperson asked SACE to clarify how many teachers there were in South Africa. She was concerned about the negative media reporting on teachers, saying that the SACE reports shed light on the true state of affairs and showed that it was possible to deal with those guilty of transgressions. Mr Brijraj said that he could not give an answer of exactly how many teachers there were. He noted that it was possible to say how many were registered with SACE, but this list did include some teachers who had left the profession or passed away. The Department of Basic Education had undertaken profiling of teachers, which would assess not only how many there were, but also what they were doing. Mr Enoch Rabotapi, Acting Chief Director, Department of Basic Education, added that the question of having a reliable database was a problem of the Department and noted that the turnaround time for updating information was difficult, given the environment in which resignations happened constantly. Although the statistics were known not to be fully accurate, measures had been taken to update the database. Ms C Majeke (UDM): asked about the SACE outreach programmes and whether SACE would wait to be invited to functions or visits, or actually seek opportunities to speak and if the Council created its own opportunities also. She noted that there was a lot more activity in KwaZulu Natal (KZN) and that there were relatively few activities in the Eastern Cape, despite this being a large province, and this factor could also explain the relatively poor activity of three provinces in relation to the CPTD, as highlighted in the presentation. Ms Majeke asked about case management, and whether abuse of the teachers by the learners was also something that SACE investigated, although this might be something that the DBE might have to deal with. Mr Brijraj answered that SACE did wait for invitations from the different stakeholders and had not undertaken roadshows or initiated such activity. He however assured the Committee that in the current year SACE would be targeting areas to which it had not already been invited, and would be organising meetings especially in areas where there had been reports of misconduct. A bigger budget had been allocated to this specifically, now that the SACE building fund was complete. Ms Dupholo added to this by giving information on the number of meetings the SACE had had in the Eastern Cape and how SACE had engaged with teachers in the province on registration and ethics. Ms H Boschoff (DA) referred to page 22 of the Annual Report and asked why advisory letters were sent to accused educators, and whether a disciplinary hearing was not necessary in these cases. Ms Dupholo said that the Advisory Letters were sent to members when cases had been dealt with by the province. All provinces must, in terms of the guiding legislation, send to SACE their reports, although she noted that this was not in fact being done by all provinces. The Western Cape was leading on this point. SACE would look at the report, and if the sanctions and the accusations were in line, SACE would accept that, but would then send the letters advising of the sanction to the educator concerned. If SACE felt, on the other hand, that there was a mismatch or inconsistency between offence and sanction, it would tell the Province that there was a need to re-open the case. Ms Boschoff also drew attention to the fact that the presentation mentioned that parents were often the reason for withdrawal of cases. She found the non-deregistration of teachers as a matter for concern and added that it was important that all disciplinary matters must be referred and reported by provincial education departments to SACE, so that these teachers could be prevented from returning to the system. The Department of Basic Education must assist with this. Mr Brijraj said that teachers sometimes did slip back through to the profession after they had been disciplined, and this had been problematic. In future, a list of all deregistered teachers would be drawn, and sent to all provinces, and registered letters would be written to ensure that the relevant disciplined teachers were removed from the roll of teachers. Whenever there was any doubt on the registration status, it was advisable to check with SACE, and this could be done via its website, because the status of the teacher would show when the educator's ID number was punched in. Ms Dupholo spoke to the withdrawal of the three cases mentioned in the presentation. Withdrawals could happen either if there was not enough evidence, or when witnesses did not arrive. Parents were not the only reason cases might not proceed. She also cited defence lawyers who used delay tactics as a cause and said that SACE was considering using the policy adopted by the Commission for Conciliation, Mediation and Arbitration (CCMA), of notifying the Council if lawyers were to be utilised. Ms Boschoff raised concerns about the number of research seminars conducted and added that if policies were not implemented, this would lead to problems with teachers doing as they pleased. Ms Bischoff also questioned the repeated mention of budgetary constraints during the presentation, but pointed out that the financial report showed a surplus. Mr Brijraj said that where the SACE had fallen short of meeting its targets, this was mainly due to the uncertainty around the funding, in terms of what amounts were available and when they would be transferred from the DBE, and this affected SACE reaching its targets. This was something SACE planned to tackle in the upcoming year. Ms J Basson (ANC): thanked SACE for a detailed report but was surprised to see that, according to the financial presentation, three executives were getting extra incentives. Mr Mapindani answered that over the last three years, the Council had needed to change its own performance evaluation in regard to remuneration. The bonuses paid to the senior management were set out in the Annual Report because these were compulsory declarations that needed to be made by SACE. These were not in fact performance-related bonuses, but a 13th cheque given to employees. Ms Basson also referred to page 75 of the Annual Report and questioned the claim of incomplete targets by the researchers due to budgetary constraints, again questioning this in view of the fact that SACE claims to be financially sound. Mr Mapindani addressed the questions by Ms Basson and Ms Boshoff relating to the number of research activities. He said taht the Council took a resolution to take R2:50 from each R10 subscription fee for the building fund, and this had increased the revenue. However, the baseline of the budget was reduced due to rising costs, which resulted in SACE having to scale down on certain functions to pay for mandatory expenses such as salaries. As SACE increased its registration fee, it had increased the budget for case management. The Committee and Council had been made aware of this point. The surplus that was noted was in fact a planned surplus, due to the need to have the building fund, and that was specifically set aside to purchase the building. The ‘cash’ would become a non-liquid asset when the building was purchased. In addition to this, the revenue stream had since been improved through raising the CPTD registration. The DBE had confirmed that it would be paying SACE but had so far paid over R4.5 million of the R8.5 million promised. Ms Basson also questioned the slides on Peer Adjudication, and specifically the comparison of planned and actual targets, noting that 107 cases were not completed. She asked whether certain cases could be prioritised, and noted that if the victims were in grade 12, they might be leaving school with the scars of unresolved matters. She also suggested that bribery might be a possible reason for parents withdrawing cases. Ms Dupholo said that a MoU was signed with three provinces regarding the reporting of their cases. The Eastern Cape, Kwazulu- Natal and Mpumalanga would have cases prioritised: and sexual, criminal and human rights cases would be dealt with by SACE in order to avoid delays, whilst other cases were handled by the provincial department. Cases involving grade 12 learners were also prioritised. Mr H Khosa (ANC) raised concerns about the unachieved targets, which it was said were due to only having seven experts and questioned how SACE was coping with the challenge of meeting its targets. Mr Brijraj in answered both Mr Khosa's and Ms Basson’s question, and said that peer educators were being involved in hearings, emphasising the idea that the teaching profession must govern itself, it must set its own standards and ensure those standards were maintained, as a guiding principle. SACE would have to ensure that the panel was representative and neutral and that there had been no complaints of favouritism. If there were, then SACE would investigate. Mr Brijraj said that the Council had accepted volunteers and that it gave stakeholders opportunities to submit names of volunteers for the committee who could assist with the cases; these included former teachers and principals. Most had been volunteers from teachers unions. SACE had also enlisted the help of prosecutors, which had helped relieve the pressure on administration staff. SACE had just trained a group of 35 volunteers for peer adjudication, and they would receive some remuneration. Ms Dupholo added that to assist with promoting ethics and broadening the pool, there were three full time employees who dealt with the main volume of cases. SACE had trained people who had a basic knowledge of labour law and were in the unions also to deal with some cases as basic officers. They were monitored and review, and there had been no complaints received about their work. She monitored almost 99% of the cases, and SACE was hoping to employ more people, especially investigators. Mr Khosa also asked SACE about its strategies for professional development and the apparent over concentration on service providers in Gauteng. Ms Mokgalane responded that the CPTD funding from the Department was received late, and there was a need for SACE to cover the areas where it could afford to go in, and this was the reason why Gauteng was selected. However, since then SACE had been and would continue to cover other provinces also. Ms Basson raised concerns about the qualification of teachers being questioned by SACE and asked howSACE justified and approved the qualification of foreign teachers, and what it used to assess their qualifications. Ms Dupholo responded that in regard to foreign qualifications: SACE was relying on the South African Qualifications Authority (SAQA) and would begin the process of working on vetting the foreign qualification with the endorsers of the qualification. Ms Basson asked about the three years given to teachers to improve their qualification and what happened if they did not. Ms Dupholo responded that conditional registration happened, on condition that the school then bore the onus of noting that it was employing unqualified teachers. SACE then required that these teachers attend to their Post Graduate Certificate in Education, which took a year, and if this was not completed, then the school must account for this. The SACE was now being stricter and asking schools why the educators had not passed their certificates. Independent schools were arguing that people with degrees were more than qualified. Mr D Mnguni (ANC) noted that it was frustrating the Department did not know how many teachers were in the system. He was however pleased to hear that SACE would be more proactive in meeting with stakeholders. He suggested that, on the topic of peer adjudicators, SACE align itself with the Employment of Educators Act and use old supervisors as investigators, as they would be familiar with the system and were unbiased. He noted that there was always a possibility of union bias in disciplining a union member. Mr Mnguni also asked about CPTD certificates that would be issued and whether there could be other incentives? Ms Mokgalane replied that SACE was a professional council and it would not deal with incentives directly, but merely advise the Minister. Mr Mnguni asked about the Visagie property sal,e and what had happened to result in a R1.5 million difference between the valuation and the amount realised in the sale. in the sale price versus the evaluated amount? Mr Mapindani answered this in his response to Ms van der Walt later in the meeting. Mr Mnguni reiterated that the Committee should not only rely on paper information and must verify that all workshops were held, and must hold people accountable, perhaps through the circuit managers. The Chairperson agreed, pointing out that this was part of the oversight process. Ms N Mashabela (EFF) questioned the implementation of CPTD and the mandate of SACE, highlighting that SACE did not have staff on the ground and often used teachers for its functions, and thus questioned the possible negative impact this may have on teaching. Ms N Mashabela added another question of how often CPTD offices and evaluators appointed in provinces met with principals to support them. Ms Mokgalane replied that the SACE Act noted that the SACE must promote the development of educators and must manage a system for continued development for all. Although it was not the responsibility of SACE, but of the Provincial Departments, to actually develop workshops and programmes on the ground, SACE would be managing and monitoring them and allocating points for attendance. It was a challenge on the ground meeting up with principals, but officers had managed to do so twice this year. The SACE would also be encouraging other providers of CPTD points to begin getting involved too, so that there could be enough curriculum development. Mr Khoza questioned the vetting certificates and asked what could be done if there were fraudulent certificates already in the system, urging that SACE should focus not only on new incoming certificates, but those already issued also. Mr Khoza asked what would happen if educators did not achieve 150 CPTD points in the set time. Ms Mokgalane replied that there was a need to learn as part of the process, and SACE must look at what was happening and why teachers were or were failing to achieve their 150 CPTD points and currently there were no punitive measures taken if they failed to reach the target, except that those who were acting deliberately and refusing to register were acting contrary to the Code of Ethics and Professionalism. SACE would be advising the Minister on other incentives and punitive measures. Mr Khoza said that the auditors had noted that SACE was not achieving its research targets, but the Chief Financial Officer noted that corrective measures were being taken, and he asked for more details. Mr Mapindani replied that the process would be tested firstly in the Free State and KZN. A provincial head would run all SACE functions so the presence of SACE would be felt across the country. A co-ordinator would be set up as a fieldworker who would move around and meet with teachers. Officers would also be employed to deal with the offices. Ms Basson commented that SACE must, from the outset, say how it planned to rectify any problems highlighted by AGSA, and, if necessary, seek help from the Portfolio Committee. She commented that it was unacceptable that SACE did not seek the help of the Committee when it did not have the funds to reach the targets. Ms Mokgalane replied that: the budget for research had been increased for the next financial year, as well as SACE now having plans to partner with various research organisations. Ms Basson commented on the research and registration, and she compared SACE to the committee governing professional development points for the nursing profession. She suggested that, as with the nursing profession, penalties should be imposed if teachers registered late. 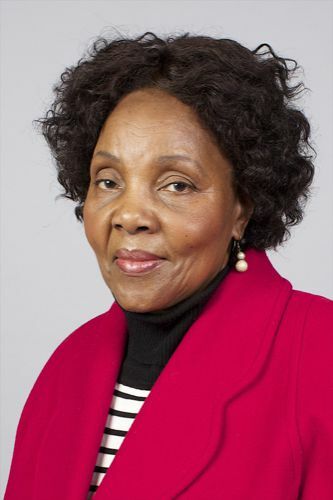 She also encouraged SACE to use traditional methods of communicating with teachers, alternative forms of funding, head-hunting teachers, implementing a penalty for provinces bringing back blacklisted teachers, and creating a closer relationship with unions. The Chairperson asked if it was correct that SACE had representatives in each province, but offices in only two, and Mr Brijraj confirmed that this was correct. Ms D Van der Walt (DA) asked how the revenue was received (apart from the grant given from Department and membership fees). Mr Mapindani gave a breakdown of revenue income (as presented in the Annual Report) and stated that the main source of income was member registration fees, supplemented by income from copies and reprints of registration certificates and the like. Ms van der Walt asked why, if the SACE was receiving government funding, it was not audited by the Auditor-General South Africa (AGSA). Mr Mapindinin replied that this was because AGSA did not have sufficient capacity to audit every government entity and thus the AGSA's regulations allowed for outsourcing of some audits. The National Treasury provided for external audits via an open-bid process. SACE declared to National Treasury and AGSA, who would communicate to the external auditor, and follow up directly with that body on the audit. Ms Van der Walt also commented that it was not so simple to classify the R9 million sale as a loss, simply because someone might have valued it at a higher figure. She asked SACE to clarify how much it had originally paid for that Visagie Street property, and why it took four years to sell. She commented that public money must be spent on things that yield a positive increase. Mr Mapindani responded that the building was bought for R12.1 million five years ago,and when Parliament objected strongly to this, the SACE had decided to sell the building. Attempts to sell, however, were not successful and in the meantime the building continued to depreciate, with continual vandalism, cable theft and other issues. The SACE had taken a decision that it was now becoming too costly to retain it, and had settled for the lower than valued, R9 million offer. Ms Van der Walt found it misleading that the "loss" was determined by the difference between the evaluation and the sale amount, and not the difference between the purchase price and the sale price. Mr Mapindani responded that SACE bought the building for R12.1 million and that, if the valuation figures were taken into account, the loss for the year was a R1.5 million loss, although he conceded that the cumulative loss was R 3.1 million. The loss from the building from the previous year was written off in that year. Mr Brijraj noted that the principles of depreciation meant that each year, a percentage would be written off, and an assessment would be done on how much SACE had lost on the building. The Chairperson advised that when the building was purchased, the Committee did advise that the building was in a poor condition, and asked if, since the purchase, the building had been utilised at all. Mr Brijraj responded that it was used for storage and not office purposes. The Chairperson responded that SACE must concede that it had made a loss on the building, and in addition to this, had also needed to rent other office space in the meantime. Ms Van der Walt also questioned the high percentage increase in membership fees and how it was determined. Mr Mapindani responded that there had been no review of the fees since 2002, as previously mentioned. He said that as the register grews, it involved a lot more responsibility and was costing SACE to run it. SACE had therefore benchmarked itself with other registration bodies and comparatively the fees it was charging were less than other registration bodies. The Chairperson asked what informed SACE membership targets, and for clarification on registering teachers who were studying. Ms Dupholo explained that re-registration was slowly happening after expiry of previous registrations. She explained that there were two types of registration: full time registration for full qualifications and provisional registration for those still studying. Old educators in the system were not tending to register until they wanted to, but the provincial department's policy now meant that in fact more were starting to register. Foreign teachers were also getting five year provisional registrations. The Chairperson asked what SACE was doing for World Teacher Day celebrations as there was no budget for it for this year. She commented that the process of acquiring a building had been ongoing for some time, and the Committee hoped that the matter could now be regarded as finalised. Mr Brijraj assured the Committee that within the next few months, SACE would have sorted out their property and the matter would be resolved. Ms Boshoff (DA) suggested creating a watermark to avoid false certificates or fraud. Mr Brijraj thanked the Committee, who had given SACE lots of direction, and said SACE would begin to add staff members in order to expand delivery. He said he was aware of the question of improving learning and teaching and would begin to look at how to improve this. SACE wanted to develop teachers to better empower learners. He said he appreciated the input that SACE should continue with traditional communication forms such as imbizos and publications and would take the advice of head-hunting. In addition, the SACE would be asking the Portfolio Committee for help with taking up matters that had slowed down the SACE processes in the past. He said, on World Teachers Day, that SACE would begin to reclaim this space. He again took the opportunity to salute teachers for their role in liberating learners. The Chairperson thanked SACE for its efforts and role in creating professionalism and ethics in the teaching profession.